It’s time for me to recall some exciting events happened in the past weeks. 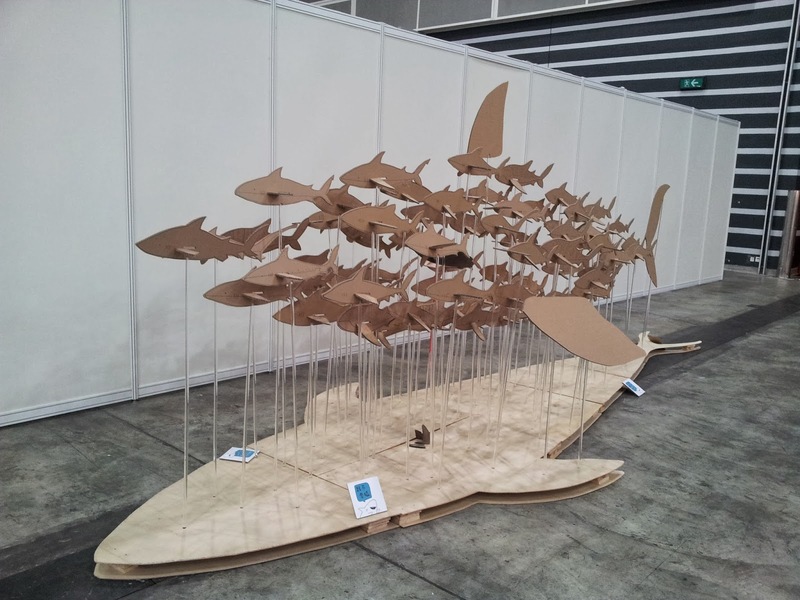 First of all, I was so happy to take part in the Diving and Resort Travel Expo, held on the 13th to 15th December at the Hong Kong Convention and Exhibition Center. 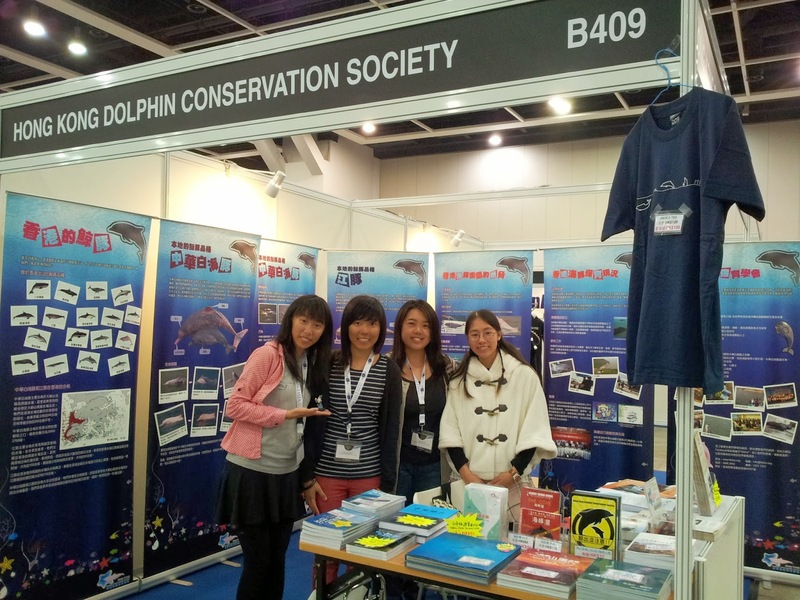 The HKDCS was able to set up a booth this year, so other than selling books related to nature and marine animals, we were able to educate the public specifically on Chinese white dolphins and finless porpoises. It was exciting to know that many people were actually interested to learn more about these marine creatures and the ways to protect them. Other than helping at the booth, we also took the opportunity to conduct a questionnaire survey for the SROI project I mentioned before. Among the visitors, many of them were divers and conservationists, so we were fortunate to get lots of valuable opinions. 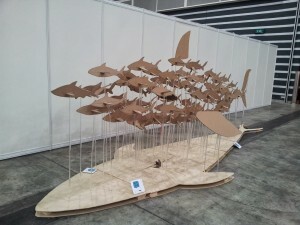 The expo was really an eye opener for me because I wanted to learn diving for a long time. There was so much information about diving courses and beautiful diving locations worldwide. Surely, I will recommend anyone who likes diving to visit this expo!! Apart from the DRT show, we were also busy working on the SROI project. 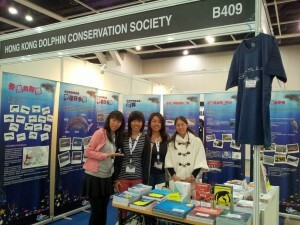 We conducted a few questionnaire surveys and have interviewed Hong Kong residents and foreign tourists. 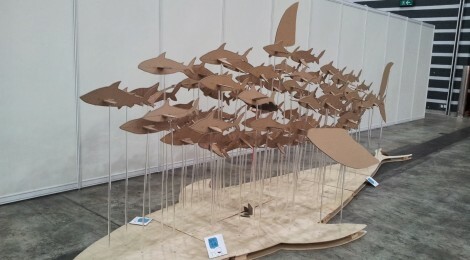 Through their participation in the questionnaires, we wanted to know their views on the proposed Hong Kong airport’s third runway project and experiences with dolphin-watching tours. I was glad to conduct the surveys as they helped to raise public awareness about the threats posed on Chinese white dolphins.We are halfway through the project now, so hopefully it will turn out well!